Pirates of the Caribbean’s Orlando Bloom and the Victoria’s Secret model Miranda Kerr jetted off to Anguilla after a secret wedding in the US last year. They stayed in one of the Viceroy’s private villas. Set in 35 acres of lush tropical vegetation, their villa came with their own private pool, cabana, spa, and personal butler. After four days in Anguilla, the pair flew off to two additional Caribbean islands rumored to be St. Lucia and Mustique. Other celebrities visiting Anguilla include Sandra Bullock, Robert De Niro and Uma Thurman. Anguilla is a warm and welcoming island tucked away in the northern Caribbean. It is surrounded by stunningly white beaches and breathtaking turquoise water. Anguilla is casual and easy, a unique blend of high style and low-key elegance, and the best of the good life set to a slow and casual island tempo. One of the most popular things to do on Anguilla is sailing. There are plenty of options to charter all kinds of boats. The island can easily be explored by renting a bike. With one main road and very easy-to-navigate side roads you can discover this paradise at your own pace. There are plenty of small shops and art galleries throughout Anguilla and the island boasts some of the finest Caribbean rum and cigars. 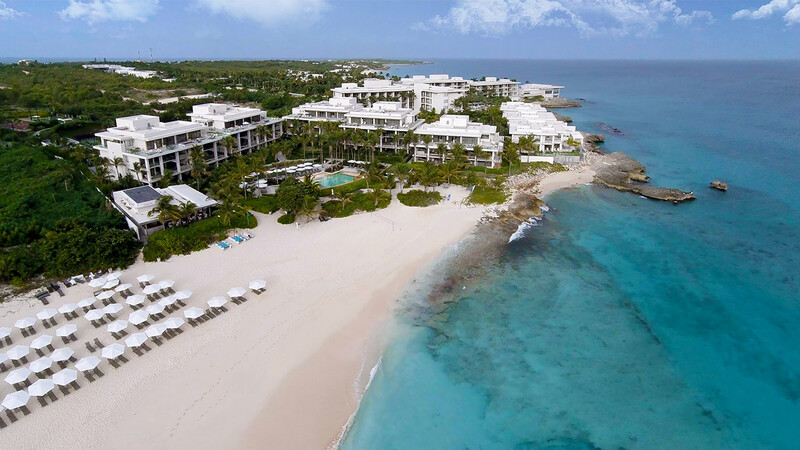 Anguilla is a great destination for a honeymoon couple who is looking for a true Caribbean paradise to get away from it all. Take every day as it comes and do as much or as little as you wish.